Aspirants must complete Degree from recognized University to apply for this AP Police Sub Inspector Jobs. Check the latest Govt Jobs to apply for this Andhra Pradesh Sub Inspector Jobs. The Applicants must also check the detailed Notification from recruitment.appolice.gov.in. The Selection of the Candidates depends on the Written Test, Physical Measurement Test, Physical Efficiency Test. The Preliminary Test is going to be held on 27th November 2016. Other Details like Eligibility Conditions, Selection Process, Pay Scale, Application Fee, Important Dates, etc. of AP Police Jobs. Applicants applying for Andhra Pradesh Sub Inspector Jobs must attain the below age limit as on 01st July 2016. Aspirants must pass Degree from any University in India recognized by UGC (University Grants Commission). Organization Name: State Level Police Recruitment Board, Andhra Pradesh. Name of the Post: Sub-Inspector, Deputy Jailor, Asst Matron Posts. No. of Vacancies: 707 Posts. Selection Process: The Aspirants will be selected for AP Police Jobs based on their performance in the following process. Starting Date to Submit the Online Application: 23/09/2016. Last Date for Submission of the Online Application: 24/10/2016. Download of Hall Ticket: 10 Days before the Prelims Exam. AP Police Jobs Exam Date: 27/11/2016 (Sunday). Paper-I: 10:00 A.M. to 01:00 P.M. & Paper-II: 02:30 P.M. to 05:30 P.M. Application Fee: Applicants applying for AP Police Recruitment 2016 has to pay the Exam Fee through AP Online/ Mee Seva (e-seva)/ TS Online Centers by providing the below information. The fee should be deposited in “favor of Chairman, State Level Police Recruitment Board, Andhra Pradesh, by quoting Notification Rc. No. 208/R&T/Rect.1/2016. The Details to be provided at the time of fee payment and category wise fee details are available below. For OC/BC Category Candidates: Rs 600/-. SSC Hall Ticket Number or Community or its equivalent. For posts 1 to 4: Rs 28,940/- to 78,910/-. For posts 5 & 6: Rs 26,600 – 77,030/-. The Online Application for Andhra Pradesh Police Recruitment 2016 will be available on our site soon. The Candidates must follow the steps available below to apply for AP Police SI Notification. The Applicants must fulfill all the eligibility conditions to apply for AP Sub Inspector Jobs. 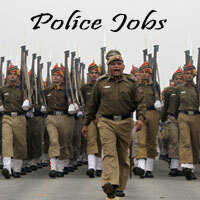 You must apply online for Andhra Pradesh Police Jobs. Visit Official Site of Andhra Pradesh State Level Recruitment Board recruitment.appolice.gov.in. Click on the link for AP Police Sub Inspector Jobs notification Rc. No. 208/R&T/Rect.1/2016. Make Fee Payment as mentioned in the Notification. Check the application carefully and submit it before the last date. Take a print of the application for future reference. Andhra Pradesh Police Recruitment Notification is issued for 4548 Jobs. Download AP Police Jobs Educational Qualification, Age Limit and Selection Process and Application Fee, etc. Candidates who are interested in Police jobs can check the recruitment notification and apply before the last date. The Last date for application submission is 14-09-2016. Dear Candidates, Andhra Police Recruitment, has issued a recruitment notification to recruit skilled and dynamic candidates for various posts. There are nearly 4548 Jobs according to the latest recruitment notification released by the AP Police Government. The various positions include Stipendiary Cadet Trainee, Warders Male, and Female, etc. People who have been waiting for the Andhra Pradesh Government Jobs and AP Police Constable Jobs may use this opportunity and apply before the last date. There is enormous competition for these jobs. Aspirants who have a dream in Government Jobs may use this opportunity and prepare well for the written test. Candidates may apply for this recruitment in ONLINE Mode. The Last date for the application Submission in online mode is 14th September 2016. This Article is providing the complete information about this recruitment like Educational Qualification, Age Limit, and Selection Process in Detailed manner. The Online Test will be held on 16th September 2016. Applicants may go to this page and get the relevant details. The Various posts details are tabulated on this page for the ease of applied candidates. Follow the Tabular form attached below and check the AP Police Constable Vacancy Details. All the candidates who want to get a job in AP Police department they must be Satisfy it’s eligibility criteria which were given in the AP Police Recruitment Notification 2016. For that, we have mentioned the Educational Qualification and Age Limit Clearly. The aspirants who want to apply for this recruitment should complete the Intermediate or its equivalent examination recognized by the State Government of Andhra Pradesh. In the case of a candidate belonging to Scheduled Castes or Scheduled Tribes, he/she must have passed SSC or its equivalent examination recognized by the State Government and should have studied Intermediate and appeared for the Intermediate Examinations in both the 1st year and 2nd year. Note: The candidates who possess higher qualification than the mentioned one will also be considered for the selection process. Applicants those who are satisfying for the Andhra Pradesh Police recruitment must have to satisfy the Below Mentioned Age Limit. Follow the official recruitment Notification for more latest Recruitment Details. Check the official recruitment Notification for Age Relaxation Details. Post Name: Constable, Warders, etc. Aspirants can pay the application fee to apply for the AP Police Jobs. The Application Fee may vary by category. The Category wise fee details are listed here. One Paper – 3 hrs. Height: Less than 167.6 cms. Chest: Less than 86.3 cms. Height: Less than 150 cms. Weight: Less than 38 kgs. Height: Less than 168 cms. Chest: Less than 87 cms. Height: Less than 153 cms. Weight: Less than 45.5 Kgs. Interested candidates must qualify in the 1600 meters run and select one out of remaining two events from below events. Men & Women Candidates must qualify in all three events of the Physical Efficiency Test, which carries 100 Marks. Click on the Ap Police Constable Syllabus Link for downloading the complete information. The Final Selection of candidates will be made based on their merit list. A huge no of candidates are interested in the Andhra Pradesh Police Constable jobs. But the candidates are worried about application submission process. For those candidates, here we have attached the easy steps for online application submission. Follow those steps and apply on or before the last date. The Application Submission is available. The online Application Form will be available from 2nd August 2016. Fill the Application form with all the required fields and submit it. SSC Hall Ticket Number or its equivalent. After receiving the Payment Receipt from Mee Seva (e-Seva) / AP Online/ TS Online, the candidate has to visit the website recruitment.appolice.gov.in to submit the online application form. Those who intend to apply for more than one category of posts need to submit only one application form. Click on the Below link and Download the Application form for submission. Please go to the below links and get the latest updates. Press Ctrl+D to Bookmark this page and get the latest updates related to the Andhra Pradesh Jobs and Exam Syllabus along with the previous papers. Now I’m in banglore ..how to apply this job from here….. I am belog from proper indore… To kya is exam ka center bh Ap m hi aaega ya kahi bh aasakta haia ya indore m bh aasakta haia plzzzzz.. Inform me any person….. I am a resident of Telangana. Can I have a chance to apply for constable post in Andhra Pradesh…..